Memorial Day is coming up soon--and with the holiday, come cookouts and gatherings. 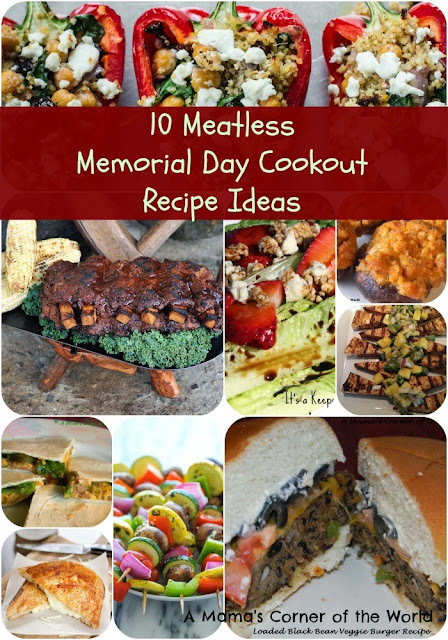 Since it is Meatless Monday--I thought it would be the perfect time to put together a list of 10 Meatless Memorial Day Cookout Recipe ideas that we love in our little corner of the world. We've chosen a little bit of everything for this list! The odds are great that even your meat loving guests won't miss the meat a bit with these meatless, vegetarian, Memorial Day grilling ideas. 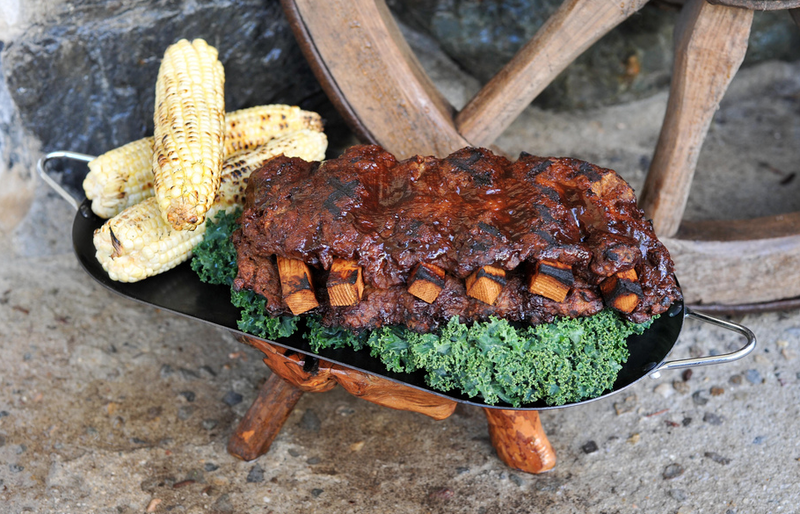 BBQ ribs are a cookout staple at many Memorial Day events. This recipe for meatless ribs from Just The Food.com uses seitan to create a lot of BBQ flavor without the meat! 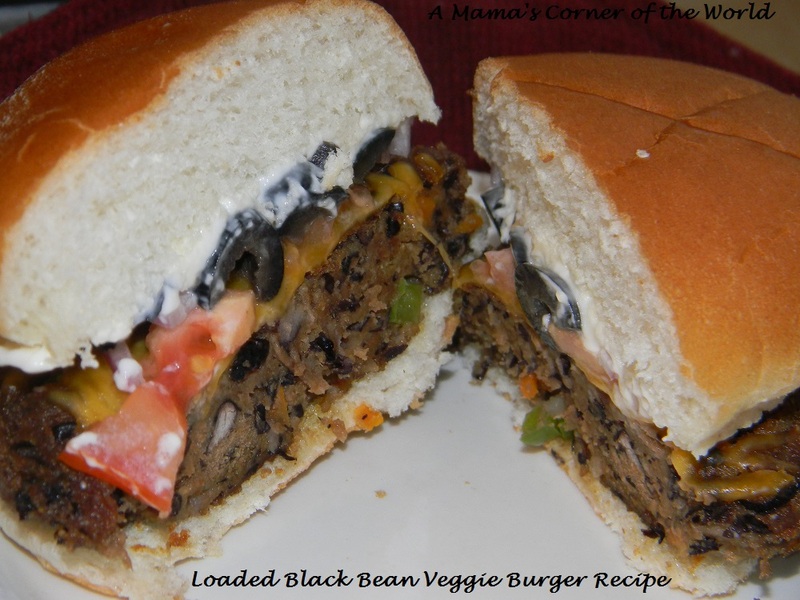 This black bean veggie burger recipe is a frequent cookout star in our little corner of the world. It holds up very well to outdoor (or indoor) grilling and it is our go-to veggie burger recipe. We love grilled flatbread pizzas. They are so easy to make--versatile enough to suit a variety of tastes--and the kids love them. This Grilled Baby Portabella Pesto Flatbread pizza from Aggie's Kitchen is one of our favorite flatbread pizza creations. I find that the kids will eat anything if served as a kabob--vegetables included. 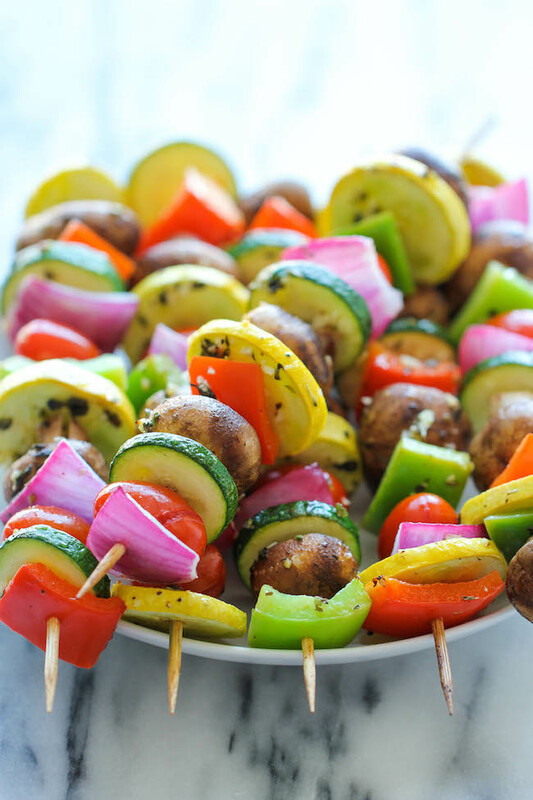 This marinated, vegetable kabob recipe from Damn Delicious is colorful, loaded with flavor--and perfect for a Memorial Day cookout! Most of our cookouts involve grilled Buffalo chicken wings--but, this Buffalo style Veggie Stuffed Mushroom recipe is always a hit as well. Grilled salads offer a delicious way to serve a salad during a cookout or gathering. This Grilled Salad with Strawberry Balsamic Reduction from Everyday Tastes combines all of my favorite flavors--and it makes a unique addition to your Memorial Day meatless menu offerings. Quesadillas are another fun cookout menu option when entertaining a variety of tastes. This Jalapeno, Bean and Cheese Quesadilla recipe is one of our favorite, quick and easy, meatless meals. Grilled tofu is an easy, meatless dish for a cookout. 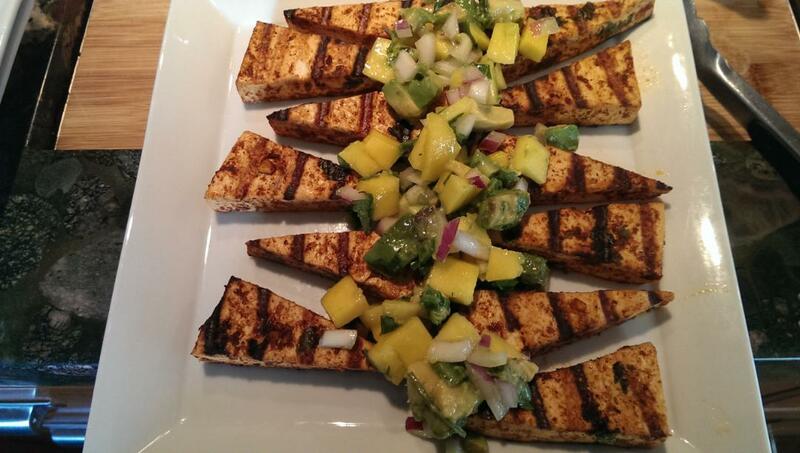 This spicy, Chili Lime Grilled Tofu with Avocado & Mango Salsa from goodmotherdiet.com is one of my favorite grilled tofu dishes! I serve a lot of Greek and Mediterranean inspired dishes. 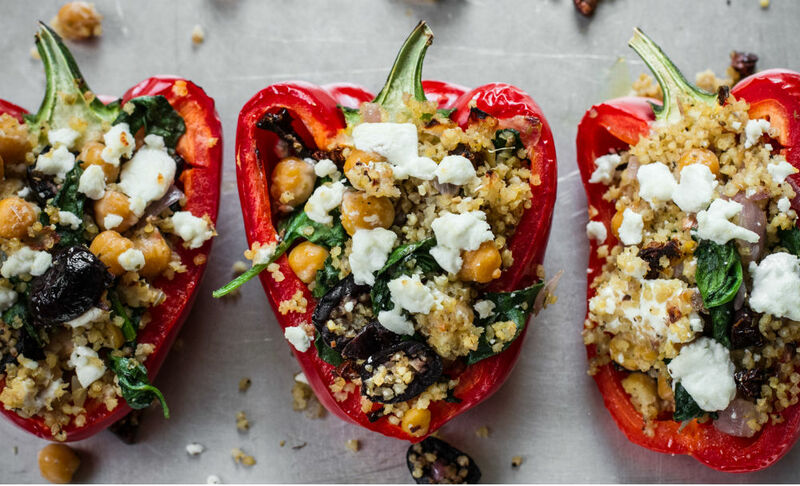 This Vegetarian Greek Stuffed Peppers recipe from Nosh On.It is a flavorful and colorful addition to a Memorial Day cookout menu! 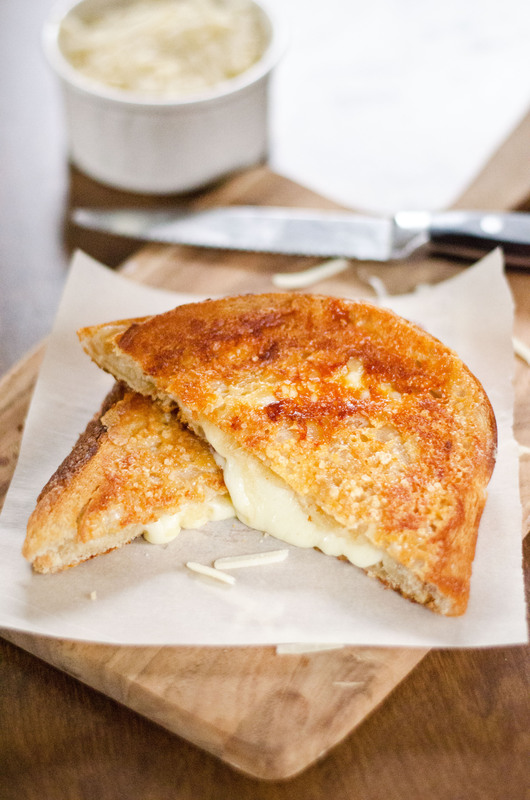 The girls love grilled cheese--and this Parmesan Crusted Grilled Cheese from Amy Kay's Kitchen suits both kids and grown ups alike! Hopefully these suggestions give you a few new ideas to add to this year's Memorial Day cookout!